High house prices and deposit requirements mean that more than two thirds of people living in the UAE rent their homes rather than buy them according to new survey. According to a poll of around 11,000 UAE residents carried out by property website Propertyfinder, 70 per cent said of respondents that they rented their homes rather than buying them. Despite the fact that house prices have fallen for the last two years, just 30 per cent of respondents said that they had bought any property in the country. The figure is the inverse of many Western countries where the majority of people own their own homes. For example, according to official figures, in England and Wales 64 per cent of the population are owner occupiers and only 36 per cent rent. Last week property broker Cavendish Maxwell reported that property prices in the UAE have fallen by an average of 12 per cent since the second quarter of 2014 when the price of oil began to plummet making it more affordable for residents to buy their own homes. Brokers estimate that the high costs of rents and relatively low interest rates mean that buyers end up paying around a third less each month in property payments than renters. But the survey, which was emailed to Propertyfinder’s entire database of 78,000 people of which 11,000 responded, found that a combined 69 per cent of renters said that they did not buy because prices were too high, they couldn’t raise the necessary deposit or they were unable to qualify for the loan amount required to borrow. Under mortgage cap regulations which were introduced in 2014, expats require a minimum 25 per cent deposit for properties priced under Dh5 million and a 35 per cent deposit for properties above that price bracket. And for anyone buying off plan, the UAE lending policy stipulates that buyers must stump up a minimum deposit of 50 per cent. 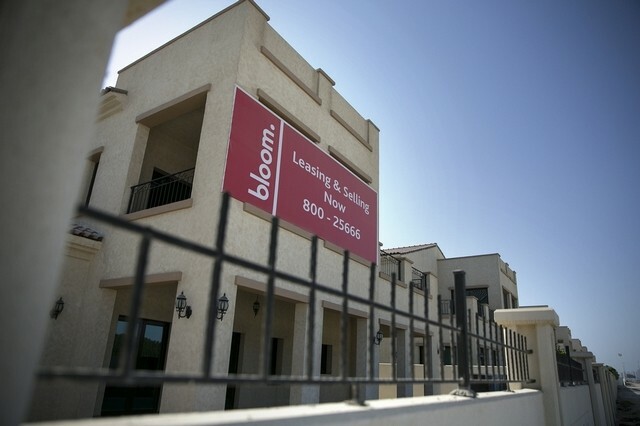 But others pointed out that the transient nature of the expatriate community in the UAE meant that renting was far more convenient for many. According to the survey, just 50 per cent of respondents had lived in the UAE for five years or longer. Moreover, 54 per cent of those surveyed said that they had ended staying longer than expected, meaning that when they arrived in the UAE they had no intention of buying. “I don’t think many people really do the maths. It is true that if you buy over here you save around a third in payments each month,” said Ben Crompton, co-founder of Crompton Partners.